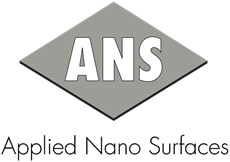 Over the past few years, a variant of mechanochemical finishing process, developed by ANS and trademarketed as Triboconditioning®, has gained particularly large industrial interest, making a rapid progress from basic laboratory experiments to fully-fledged production trials. A recent study carried out by ANS together with Mahle evaluates the effects of Triboconditioning® on the tribological properties of cylinder liners for HD diesel engines. Come and listen to a speach by our CTO, Dr. Boris Zhmud, at the forthcoming OeTG Automotive Tribology Symposium 2013 held on November 28th in Graz, Austria.